The unfortunate reality of the modern criminal justice system is that a significant number of people charged with a crime will get convicted of SOMETHING. Despite the best efforts of defense attorneys otherwise, the police actually are reasonably good at their job, especially with lower-level offenses. If the evidence against a defendant is strong enough to make a trial a bad option, the case will probably resolve by way of a plea agreement, which we discussed in greater detail in a previous post. If the case is resolved by a plea agreement or by a conviction after a trial, the result is that there will be a permanent criminal record that will follow you until the end of your life. The effects of a criminal record can vary, but there are some universal constants. Employment opportunities tend to be the biggest consequence of a criminal conviction. In a competitive job market, it’s not uncommon for even misdemeanor offenses to prevent people from finding employment. Even if you can find employment after a conviction, some studies have shown that a person with a criminal record can earn up to 20% LESS than a similar person in the same job without a criminal conviction. Housing is another area where having a criminal conviction can harm you. Many apartment complexes are now requiring background checks before renting, and they have no obligation to rent to a person with a criminal record. If you receive government-aided housing, a criminal conviction could force you to move. Schooling is an area that most people don’t think is affected by a criminal record, but some offenses can cost you your financial aid. For example, marijuana remains a controlled substance under federal law, despite efforts in many states to move towards partial or full legalization. Since many student loans are guaranteed by the federal government, it’s possible that the government can refuse to extend further financial aid to a person with a drug conviction. In extreme circumstances, the government can even require a person to start paying back their loans immediately. A person can also lose certain civil rights as a result of a criminal conviction. The obvious right that people are usually aware of is that a person convicted of a felony loses their ability to own or possess a firearm. But having a felony conviction can also prevent a person from voting or serving on a jury, and some school systems forbid parents with felony convictions from participating in their children’s school activities. 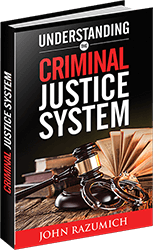 Finally, many criminal offenses are “enhanceable”, which means that the penalties become more serious if you’re charged with the same offense again in the future. DUI offenses begin carrying mandatory jail time if you continue to be charged with that offense, and theft crimes rapidly become felony offenses if you have a previous theft conviction in your history. It’s a common misconception that criminal charges eventually “fall off” of your record after so many years. Let me be VERY clear about this point: that is ABSOLUTELY false. A criminal conviction stays on your record FOREVER. Indiana has in recent years attempted to help people with old criminal records to move on from their past by passing a variety of expungement laws to help seal their criminal histories. While this is a definite improvement over how things were, it’s still not a perfect solution. The expungement statute currently in effect only restricts access to criminal histories rather than deleting them. This means that while you can prevent prospective employers from finding out about a shoplifting offense that you may have had in your youth, it’s still on your record. There are also waiting periods of five years or more before you can ask the Court for an expungement, and not all expungement requests have to be granted by the Court. At the end of the day, it’s better to not find yourself in the cross-hairs of the criminal justice system in the first place, but these long-lasting penalties are just another example of why it’s so important to speak with an attorney before you resolve your case. While I wish that I could tell you that having an attorney will prevent these consequences from happening in all cases, I can at least tell you that it may be possible to prevent some of them from happening. While we’ve discussed in previous posts about why you should always hire an attorney and why you should look at an attorney as an investment rather than an expense, I want to point out again that when your future is at stake, you need someone who can fully explain these issues to you fighting in your corner. « What is the Discovery Process?